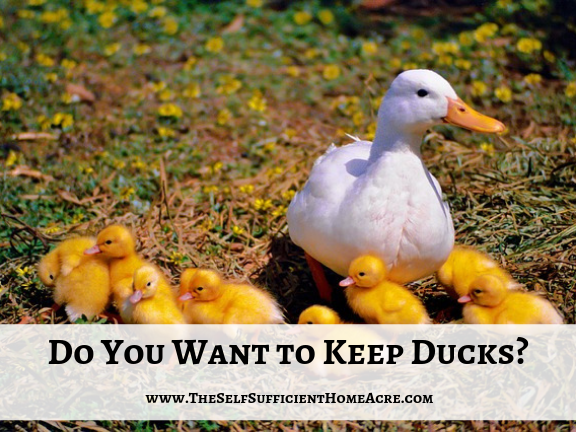 Do You Want to Keep Ducks? 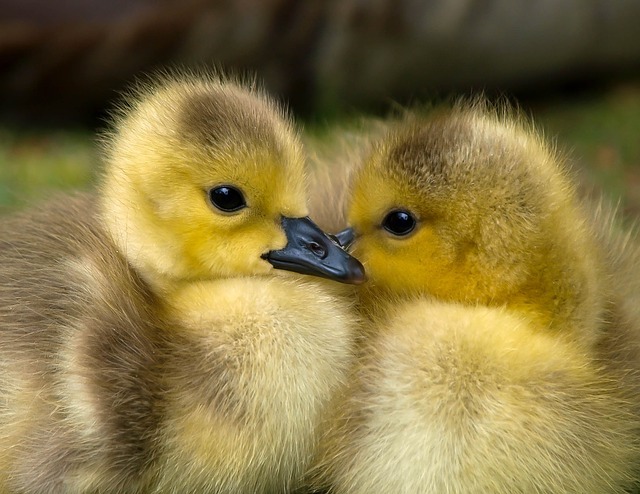 Lisa Lombardo March 26, 2019 March 28, 2019 4 Comments on Do You Want to Keep Ducks? Do you want ducks for their eggs or meat? 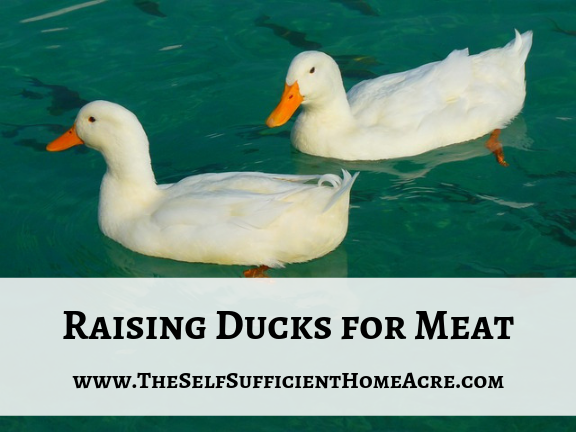 Raising ducks is a fun project! I love having duck eggs to use in baked goods and the meat is delicious. Ducks are entertaining to watch as they waddle around the barnyard and play in puddles. They like to mess around in their water dish and get their bedding pretty wet. That’s the one downside to keeping ducks. I Want to Keep Ducklings Again! I’ve had several breeds of ducks over the years and really enjoyed keeping them. However, these days I have to get my duck fix vicariously through my friends over at Trogg’s Hollow Farm. I farm sat for a day and had a lot of fun watching the little Pekin and Rouen ducklings play in the water and waddle around. But it was also a reminder of why I decided not to order ducklings this year. I was tempted, mind you! My chick order comes this week and I kept thinking about adding a few Pekins to the list. However, my decision to keep things simple prevailed. This summer we will be gone on several trips and I already feel bad asking friends to take care of the chickens and pets while we’re away. So ducklings are on the ‘wish list’ for another year. Someday I will have them again! 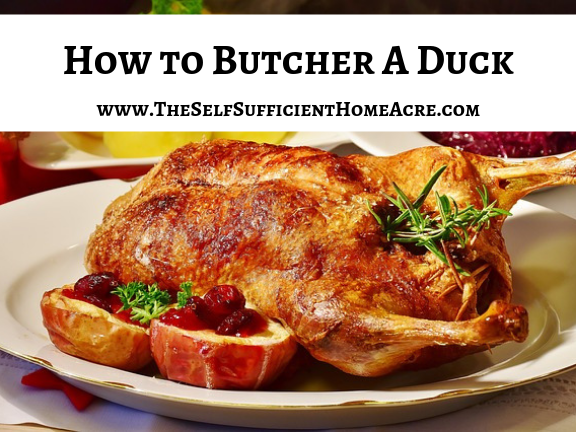 In the meantime, I have some articles that may be helpful for homesteaders with ducks, or those of you thinking about them! These posts range from how to use the eggs to raising them for meat. 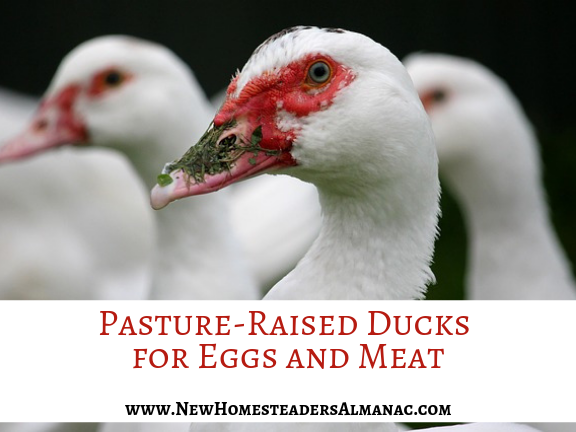 I also have an article on Pasture-Raised Ducks for Eggs and Meat on my site, The New Homesteader’s Almanac. Check it out and leave a comment! I hope you find these articles helpful! Do you have ducks? What are your favorite breeds? Do you keep them for meat or eggs? Leave a comment! 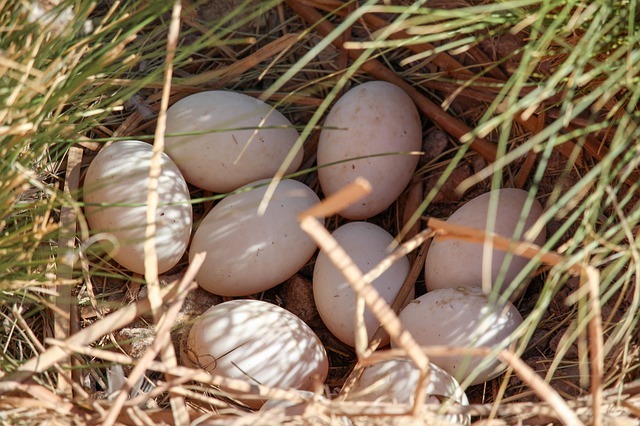 » Too Many Duck Eggs! 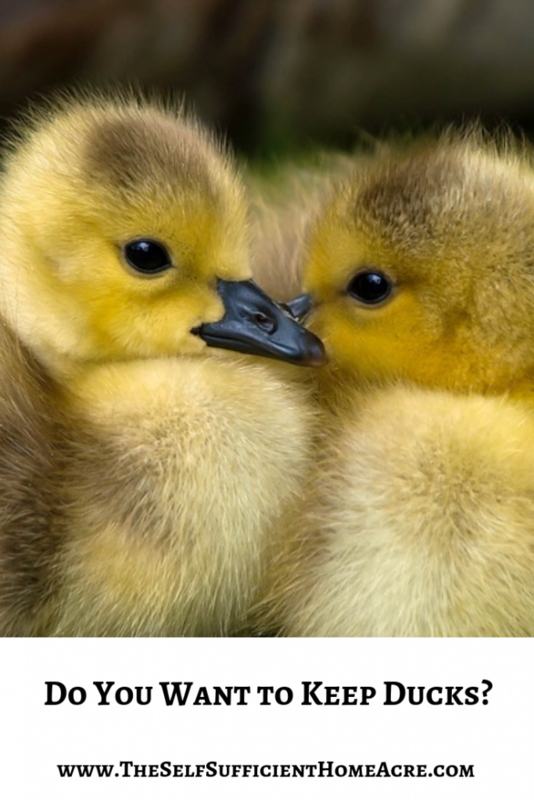 » Can You Avoid Avian Flu Losses by Raising Ducks? Or Make Them Worse? It’s hard, isn’t it?! I think I need to wait until I have a place to keep them on their own, instead of in the same coop as the chickens. They get along fine, but they make such a mess! I hope you get your Muscovy ducklings soon! The only reason I don’t raise ducks anymore is that I hate plucking them. I don’t mind eating skinned chicken, but the whole reason for duck is that crispy skin. Like you, I miss ’em. Khaki Campbells were the best layers for me.